How to assign your brand colors and fonts to be used throughout your site. To assign your brand colors to the Design Settings Color Palette click on the SITE tab in the upper section of the left panel of Showit and then select DESIGN SETTINGS. This will drop down a window with 2 tabs: SITE SETTINGS and FONTS. You can now set 8 colors for repeated and easy access use inside of the designer. The 8 colors you set will be available inside of the Properties Panel as you are customizing elements including text, shapes and icons within your site. To change a color click on the corresponding box on the Color Palette and set the desired color by either using the color picker (your mouse will transform into a color picker when hovered over the color box) or entering in a specific hexadecimal code. 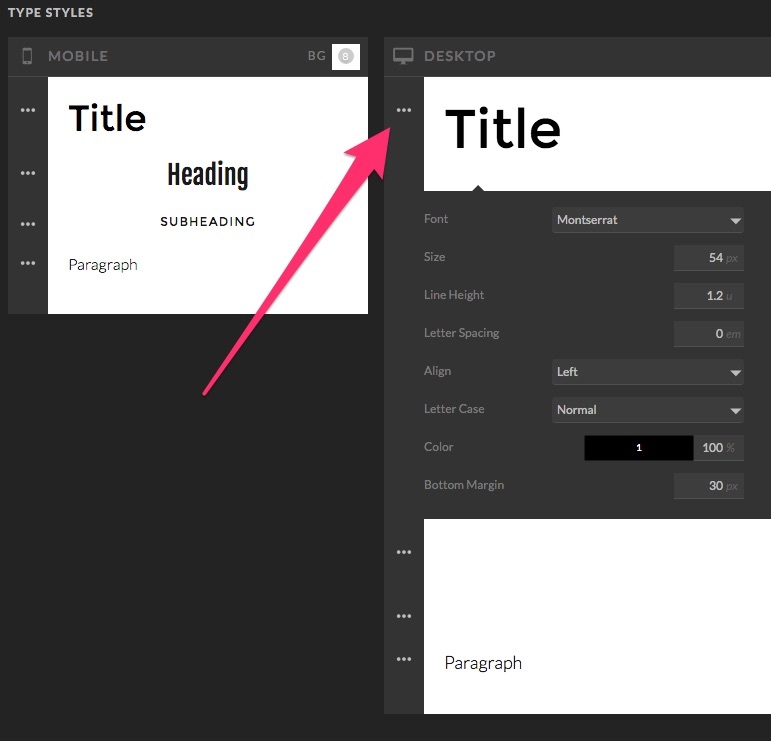 In the same DESIGN SETTINGS window as the Color Palette you can assign (for both Mobile and Desktop) a specific font and font settings for Title, Header, Subheading and Paragraph. Click on the 3 white dots to left of the Text type and a drop down window will open allowing you to set the Font, Size, Line Height, Letter Spacing, Alignment, Letter Case, Color and Bottom Margin. More video resources from our incredible community of designers and Showit users.